Thursday’s brand new episode of TAKE TWO finds Sam (Rachel Bilson) once again diving back into her pre-investigative life. 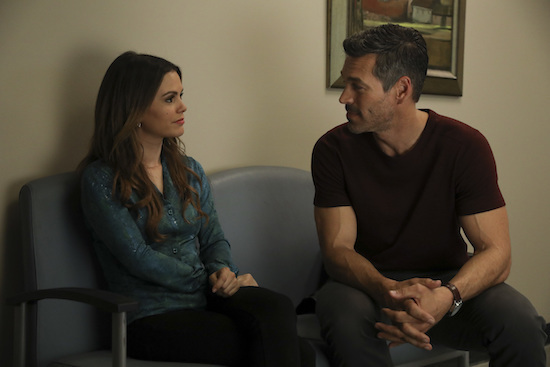 In “All About Ava,” Sam and Eddie (Eddie Cibrian) take a case to look into the death of Ava, Sam’s former co-star. (A preteen Sam played Ava’s younger sister on the sitcom.) The case brings up old issues, and Sam is forced to revisit elements of her prior world. And, as a bonus, the pictures from the episode indicate viewers will get to see a bit of merchandise from Sam’s former show…which should lead to some hilarious moments. Check out some photos from “All About Ava”!